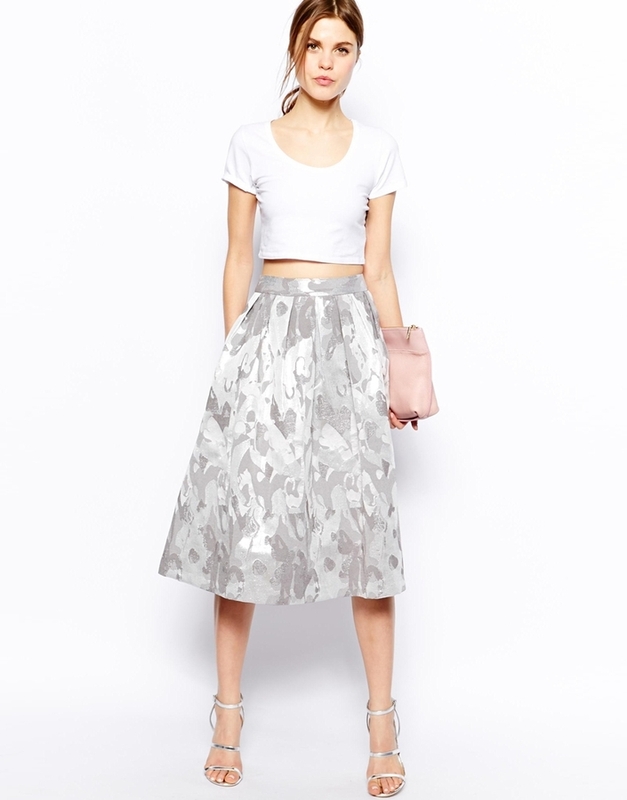 If you're searching for a casual yet totally stylish look, pair a gold sequin cropped top with an Asos midi skirt in camo jacquard silver. Both pieces are totally comfy and will look fabulous together. You could perhaps get a little creative in the footwear department and spruce up your ensemble with gold leather heeled sandals. If you're after a casual yet totally stylish outfit, choose a black and white embroidered crew-neck sweater and an Asos midi skirt in camo jacquard silver. Both pieces are totally comfy and will look fabulous together. Rocking a pair of silver leather pumps is an easy way to add some flair to your ensemble.